Last week, my husband and I were on vacation somewhere warm. I have gotten a lot of practice at maintaining balance and consistency with healthy habits while traveling, but I'm also human, and sometimes temptations get the best of me. On our last afternoon, I looked over at him and asked, "I'm kind of hungry, should I go back to the room and eat a snack, or just drink a pina colada?" At first he just stared as if he didn't recognize me, and then he smiled, knowing that by just saying those words aloud, I would ultimately choose the healthier option. Needless to say, I went back to the room and ate a nutritious snack. He replied by saying his health coachwould concur. This got me thinking about mindfulness as it pertains to making choices. 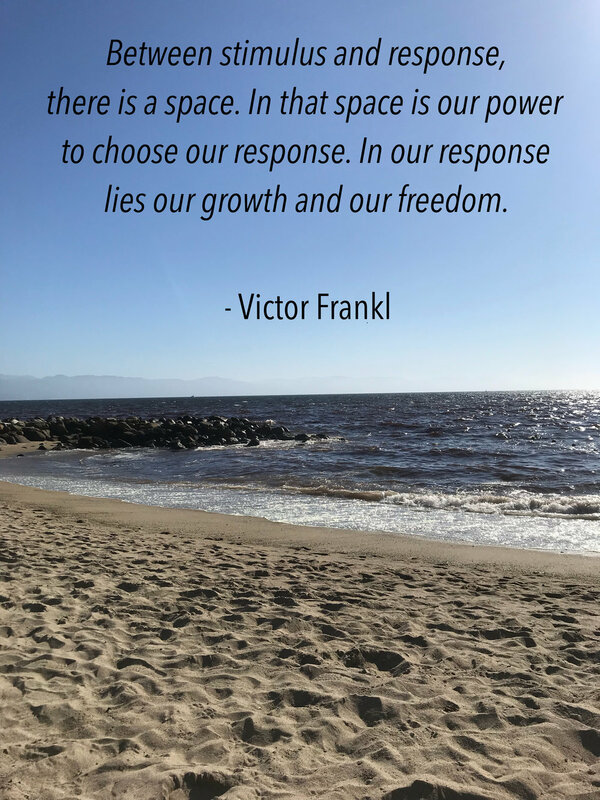 I had once heard that before each choice, there is always a pause, and if you allow yourself to sit in that moment, it helps with self-awareness and realizing the option that would serve you best in the longer term. Otherwise, we may find ourselves on autopilot, opting for something for the sake of instant gratification. So when it comes to our health, often it's less about the actual food/fitness/habits, and more about the level of consciousness we have with ourselves and our behavior. So ask yourself: are you being mindful with your choices? Are they serving you and your health on a daily basis?